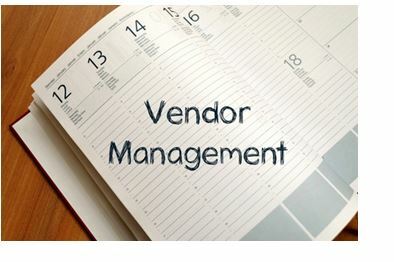 Vendor management can represent a killer burden for small and growing businesses. Interacting with vendors can eat up precious hours of the workweek, leaving small business owners drowning in details. In an effort to minimize overhead and make more data driven decisions, small business owners need a way to manage their many vendors faster and more efficiently. A typical small business owner has to engage eight or more different providers to run the HR department and perform all of the administrative duties required: a recruiter for finding talent, a payroll company for payroll, an insurance broker for healthcare benefits, an accountant for tax compliance, a safety specialist for risk management, an insurance provider for workers comp, a business advisor/consultant for policy & procedures, a training coordinator for professional development and many more. Each service or function must be sourced from a different vendor and comes with its own pricing, contract, and analysis. Scheduling and management requires the business owner to perform a juggling act just to keep the business operating. Choosing Vendors: You’ll need to find, qualify, price, and compare vendors for each of the services you need before signing with one. Integration: Once you choose a vendor, the next steps require researching, negotiating, evaluating, and creating filing histories in order to get the ball rolling. Ongoing Interactions: Even after you’ve chosen all of your vendors and completed the initial work, you’ll still need to monitor performance, verify compliance, and pay bills. Evaluation: As time progresses, each vendor’s performance should be measured based on several outcomes including cost savings and return on investment. Fortunately for the overtaxed business owner, the days of managing all those responsibilities are over with the emergence of the PEO, or professional employer organization. A PEO makes life easier for the small business owner by managing vendor interactions and other administrative responsibilities, leaving you free to run your business. The PEO becomes your one-stop shop where you can identify your needs, share your concerns, and then let it go! With the PEO keeping your HR department running smoothly, you can return your focus to other issues that matter to you and your business. Whether you are in the early days of business planning or have an already established business, the PEO presents a smart, productive, and economically feasible strategy for managing your communications & responsibilities with regard to your vendors. If you are ready to partner with a PEO we can help you find the right provider at PEOcompare.com. Check out our PEO Matching Tool and find the best PEO suited for your business.